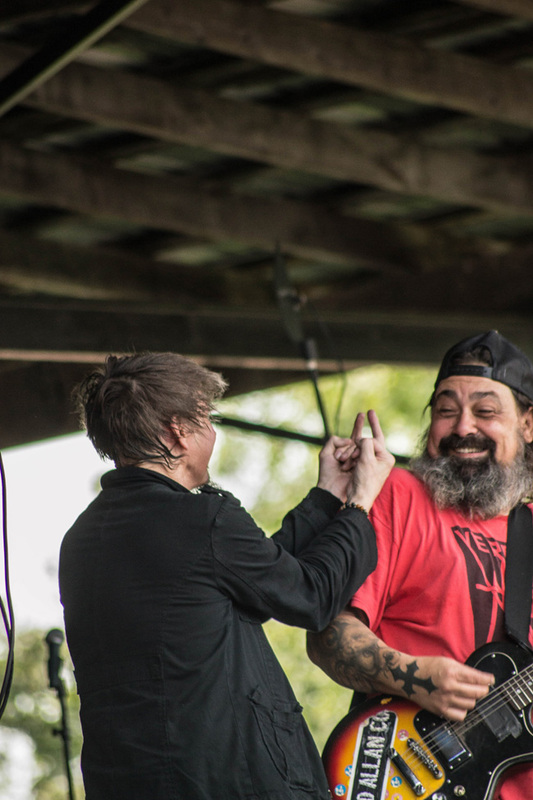 EYEHATEGOD taking a stop from their tour with Black Label Society, took some time to almost tear the roof off of the pavilion at Shiley Acres, in Inwood, West Virginia. With the many struggles that this band has faced, and the many rumors that have circulated with a name like EYEHATEGOD, spectators were not sure what to expect. However vocalist, and front man Mike IX delivered a show worth remembering, and no one in the place hesitated to Rock out, with the mosh pit going full force. EYEHATEGOD delivered a strong message to the fans, with their music, showing they are still one of NOLA's most influential heavy hitters. Below are the images captured that day.